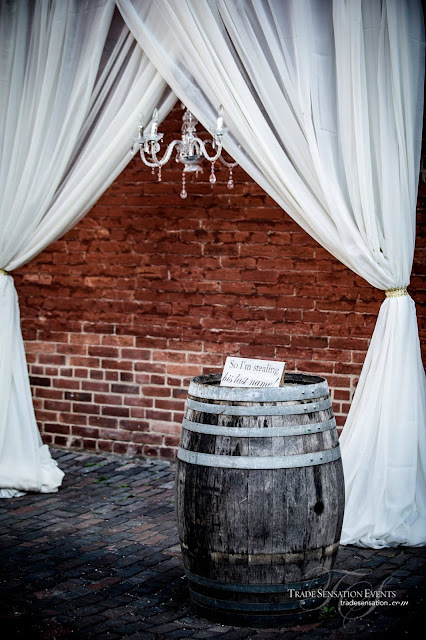 Jennifer and Nathan's wedding was an elegant evening at one of Toronto's most famous areas; The Distillery District. 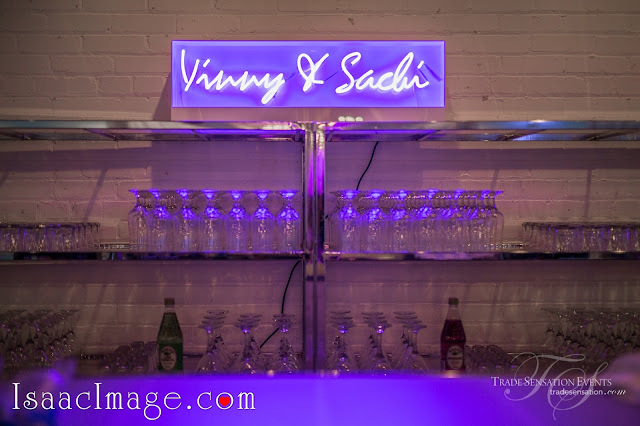 It was a fusion wedding with the couple being from South Asia and Canada. Their friends and family gathered for an intimate night of celebration and love. 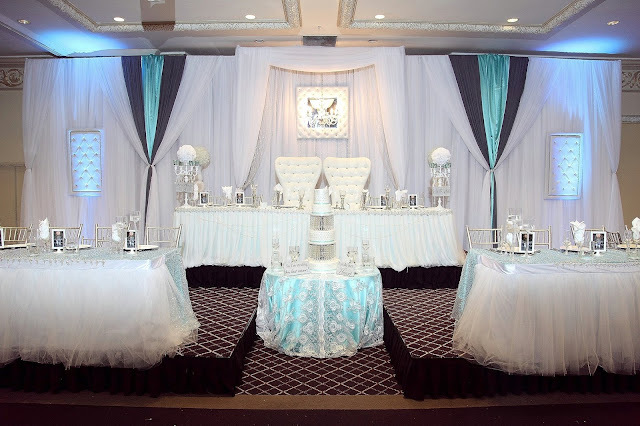 Trade Sensation's Wedding Planning and Decor Teams were used on Jennifer and Nathan's special night. The decor theme for this wedding was Lovely Vintage meets Shabby Chic, which made the evening classy and filled with elegance. Jennifer and Nathan, thank you so much for allowing us to be a part of your special day. We wish you many more years filled with unforgettable memories and love! Bonnie and Norman's wedding took place on July 25th 2015 at the Old Mill Inn. They were joined by friends and family to celebrate their amazing day. They used Trade Sensation's Wedding Planning, Decor, and Floral teams! Their Wedding Decor was inspired with a classy vintage feel using soft colours and elegant crystal trims to pull the room together. As for Floral, our in-house florist Natalia, created elegant arrangements to compliment the room. Overall it was a beautiful day filled with love and laughter for Bonnie and Norman. From the Trade Sensation team to the happy couple, good luck and we wish you many more years together! Alesha and Craig's wedding at the Paradise Banquet Hall was definitely one for the books! 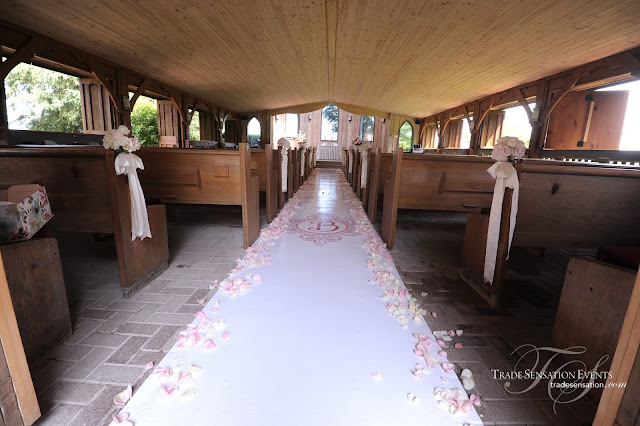 Not only did they use the Trade Sensation team for Wedding Planning, Decor, and Floral, but this was one of our most memorable decor weddings thus far! 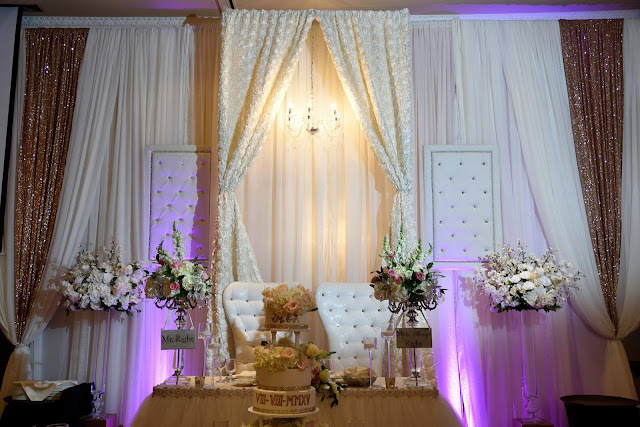 Our Decor Team Leader Jasmine along with the rest of the team had so much fun executing the decor for this wedding. 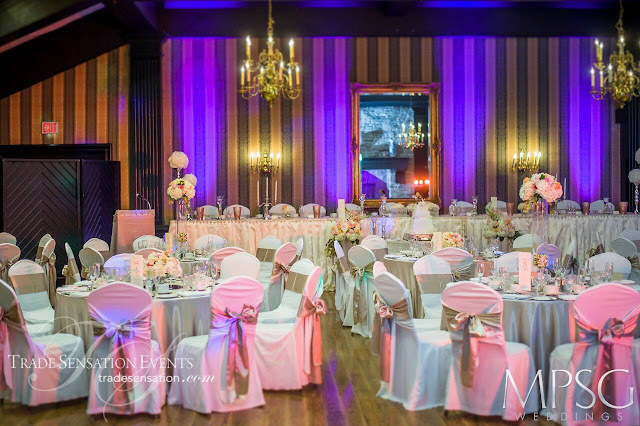 Alesha and Craig used vibrant blues along with ivory colours to put the glamorous look together. Trade Sensation also got to design the fun centre pieces used at the tables for Alesha and Craig's guests. The night was fantastic as all Alesha and Craig's guests celebrated together in honour of the couple. Thank you Alesha and Craig for having our team at your wedding. All the best in your many years to come! Merna and Adrian's gorgeous Arabian wedding was one of the most glamorous and fun weddings for our Trade Sensation Team. They had their wedding at the Royalton on August 8th and celebrated in style with their friends and family. It was definitely a wedding fit for a King and Queen. For decor, they used Rose Gold, Gold, Ivory, and Blush Pink as their main colours. As for Floral, Natalia had a lot of fun designing the massive and luxurious floral arrangements. Overall the night was a huge success and was later filled with a ton of dancing and laughing! Merna and Adrian, we wish you all the best in your future endeavours! You have nothing but love from our team to you!